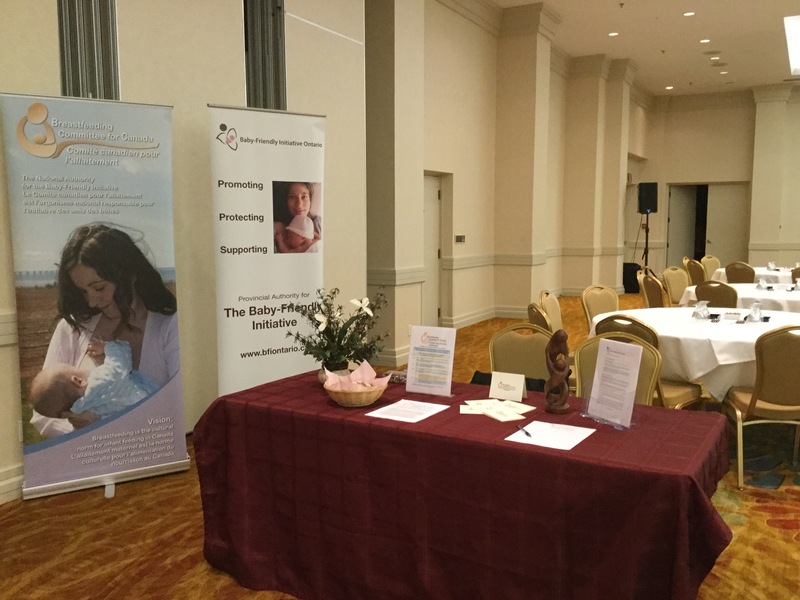 The BFI Ontario display is available for use at your next conference or event to increase awareness of Baby-Friendly Initiative Ontario and the Baby-Friendly Initiative. To have the display mailed to you, please fill out the form below and submit it. For consistency please set up the display similar to this photo. BFI Ontario Information Sheets are also available to print off and give out at your event: The BFI Ontario Information Sheet. 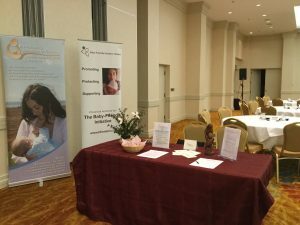 Sponsors of the event will be in compliance with the International Code of Marketing of Breast-milk Substitutes and relevant WHA Resolutions. Questions about BFI Ontario that the user is unable to answer will be forwarded to a member of the BFI Ontario executive.